Puma's marketing pitch: Our most responsive running shoe ever. Upper: Mesh, synthetic nubuck leather no-sew overlays, TPU logo welds. 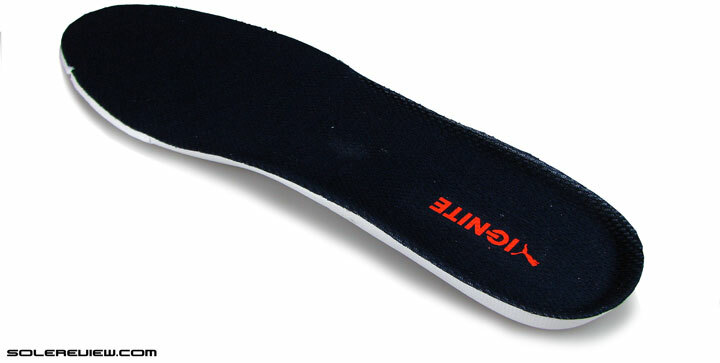 Midsole: Single density Polyurethane with foam insert under heel. 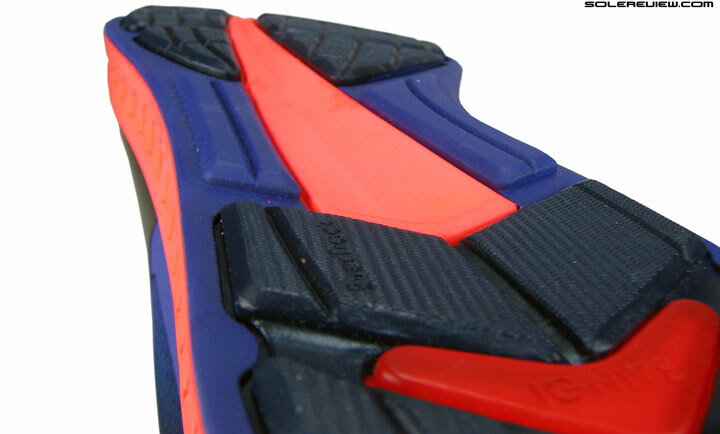 Outsole: Puma's Evertrack Carbon rubber from heel to toe, decorative Urethane insert under heel. Widths available: single, standard (reviewed). Puma's 'most responsive' claim isn't an accurate description of the Ignite, yet the latter proves to be an interesting outlier. 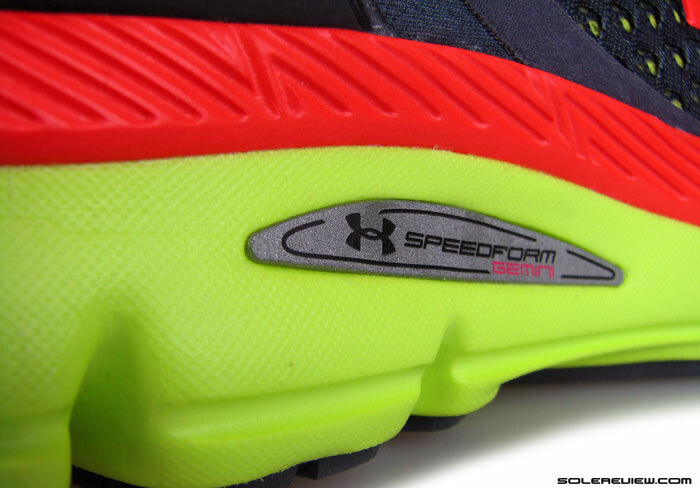 It is a sign of market maturity that a shoe like the UnderArmour Speedform Gemini is showered with much praise from many. Because it does not ride soft like how most neutral running shoes have behaved for long – in the context that softness has historically been equated with cushioning. The ride is slightly responsive, but there’s no escaping the firm undertone of UA’s charged foam. Thus the fact that so many people have taken to something like that is a healthy signal of how the running shoe market is clearly coming of age. 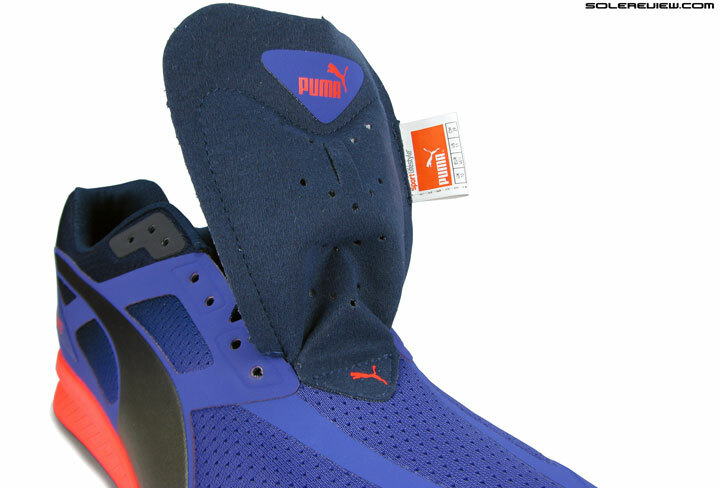 Puma says that this shoe is ‘their most responsive ever’. There’s a small catch; no one knows what that word is supposed to mean anymore. The only problem is, no one knows what to expect from a brand new running shoe release. Companies which make running shoes seem to build their promotional boilerplate from a very narrow set of keywords. It is almost as if all these brands refer to a single dictionary of marketing adjectives every time they want to sell a shoe. And going by the words thrown around, that dictionary must be very, very slim. ‘Responsive’ is the most abused word, done to death by brands to promote a midsole behavior which might mean either soft, soft with a springy feedback, firm, firm and reactive, or even something with no feedback at all. Nothing is more abstract than running shoe marketing, where a set of identical sounding words is open to a diverse (and often confusing) range of interpretation. So when Puma drops the much maligned ‘R’ word, what does it mean, exactly? The reason why we opened the review with a reference to the Speedform Gemini is that the Puma Ignite shares something in common with UA’s newest. A ride character which is tinged with firm, and slightly more so than the Gemini. There is some amount of softness, but never the dominating attribute to froth up. So why does Puma calls the Ignite ‘its most responsive running shoe ever’? We pointed out that marketing buzzwords were often lost in translation, and in this case as many others, Puma’s usage of the word ‘Responsive’ seems highly contextualised. It would have been far more clearer if we’d been able to compare the Ignite to rest of Puma’s running line – like the FAAS family of models, for example. We assume that Puma describes the Ignite’s cushioning relative to its other existing models, so we’re curious to know how those feel. Hopefully we’re able to put out more Puma reviews in the future. 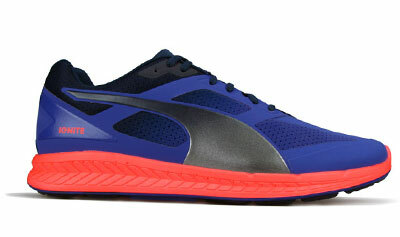 But this is the first Puma running shoe on solereview in ages. 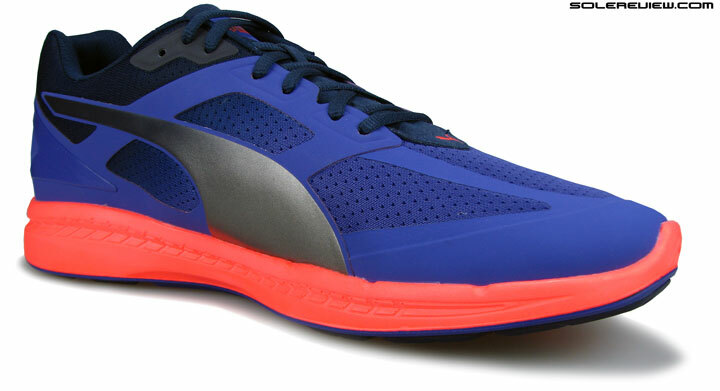 The last one was the Puma Complete Phasis in 2008, so we have to judge the Ignite on its own merits and shortcomings. The bottom-line is, we love the Ignite’s ride character, much like our impression of the Gemini. Puma’s firm ride with a ghost of a responsive undertone is efficient, and helps promote a brisk running cadence which feels good. Transitions feel smooth and seamless, helped both by the midsole material and a few design features. It is also important to clear the air about what the Ignite foam is actually made of. It is easy to mix up the adidas Boost and Ignite platform, considering that both brands boast using of Polyurethane as the base compound. But these two foams are anything but similar, and only thing common here is that Puma and adidas work out of Herzogenaurach, a tongue twister of a town in Germany. See those cheese holes? Those are pores formed by feeding liquid polyurethane into a mold; the air bubbles rise to the top. adidas Boost works on the principle of bunching together hundreds of steam molded, low density, expanded Polyurethane globules in a single midsole. In contrast, Puma Ignite follows the traditional process of pouring liquid Polyurethane into a mold in shape of the midsole. Want proof? Look closely at the Ignite’s midsole walls, and you will see numerous pores, which are essentially bubble pops formed after the pour. 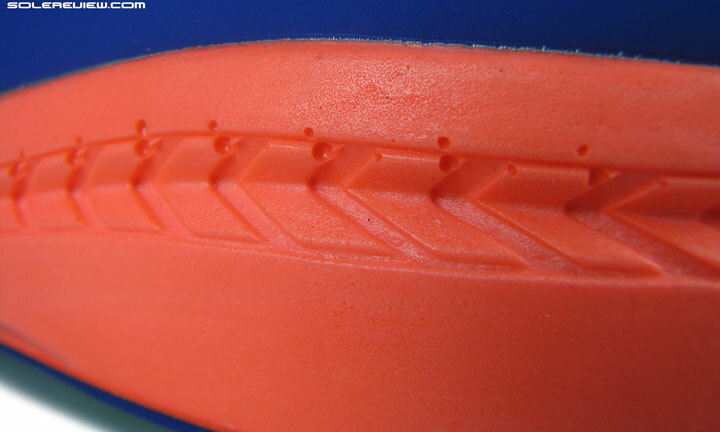 These pores are formed when molten Polyurethane is gravity-fed into a midsole shaped cavity and then clamped shut with an upper molding plate. Hot air bubbles rise to the top, and form the pores once the material has cooled and solidified. 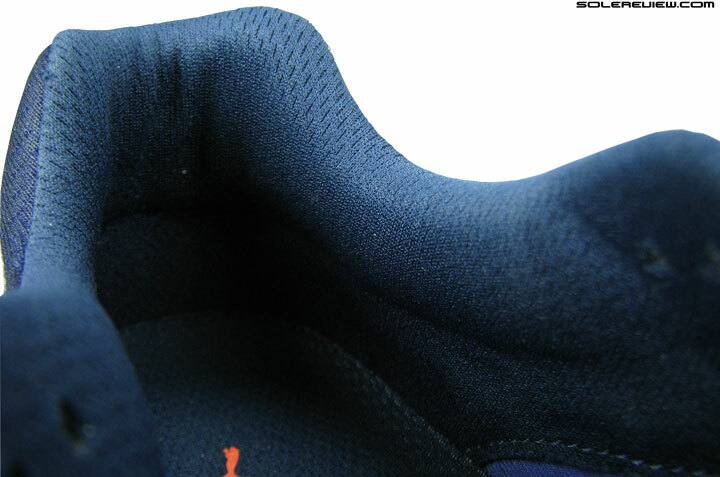 That is why there are few pores on the lower part of the Ignite midsole, and only in the upper portion. An everyday way of imagining this whole deal would be a waffle maker; pour the liquid batter into the mold, shut it and then wait for it to become a solid, edible mass with which to partake your breakfast. Who’d have thought that Polyurethane, a once dominant force in running midsole construction, would stage a grand comeback? But the newer breed of PU isn’t the same old; much like how Boost relies on a completely new production technique, Puma blends PU with some other material. The Ignite midsole has a smooth texture, in contrast to the coarser feel commonly seen in the 1990’s. It also defies the conventional theory that Polyurethane based shoes have to be heavy. 321 grams/11.3 oz for US 11 is does not make the Ignite very light, but it still compares to EVA based midsoles, which is saying something. The Ignite midsole is single density for most part. Strobel is lined with a few millimetres of foam. 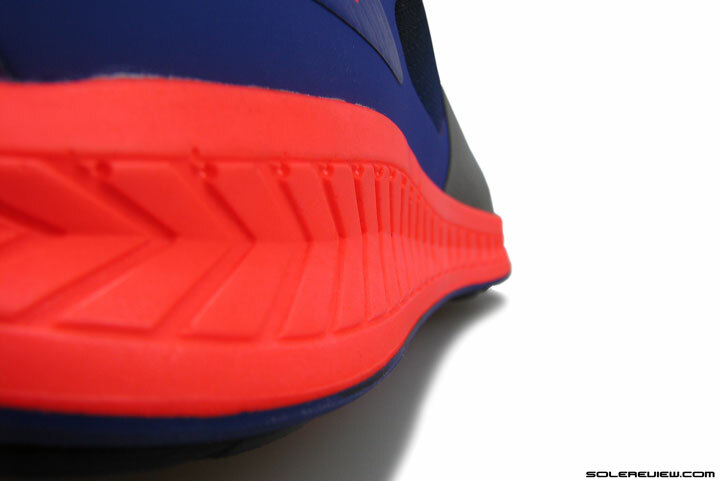 As for the midsole design itself, the structure is pretty uncomplicated. 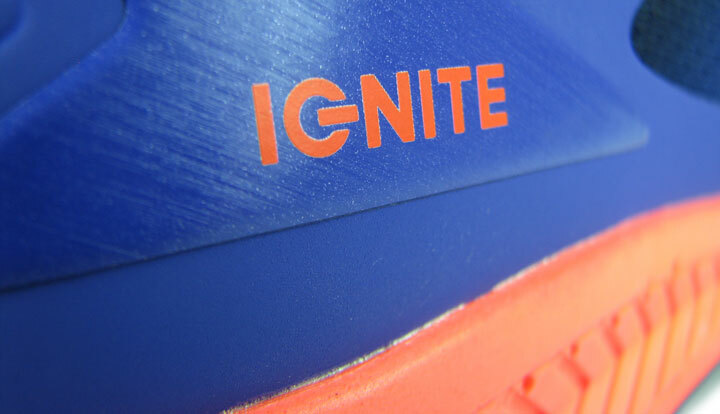 The Ignite uses a single piece PU foam midsole which is single density for most of its volume. 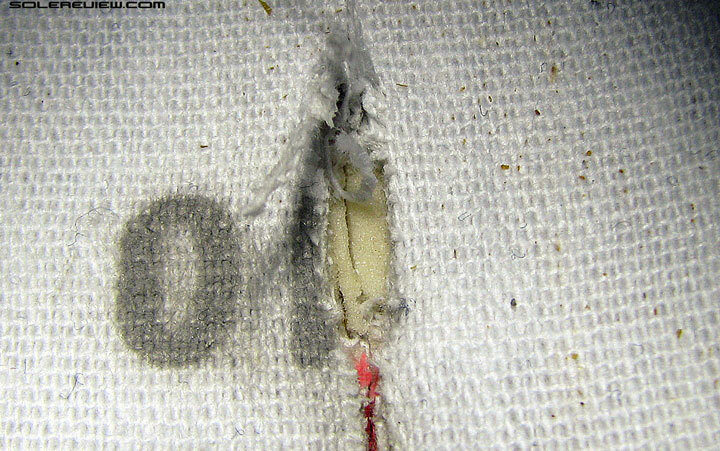 The only material switch happens right under the heel area, where there is a small piece of soft foam plugged into a cavity. On top is standard strobel lining backed with a thin sheet of foam, and an drop-in footbed built of compression molded EVA. 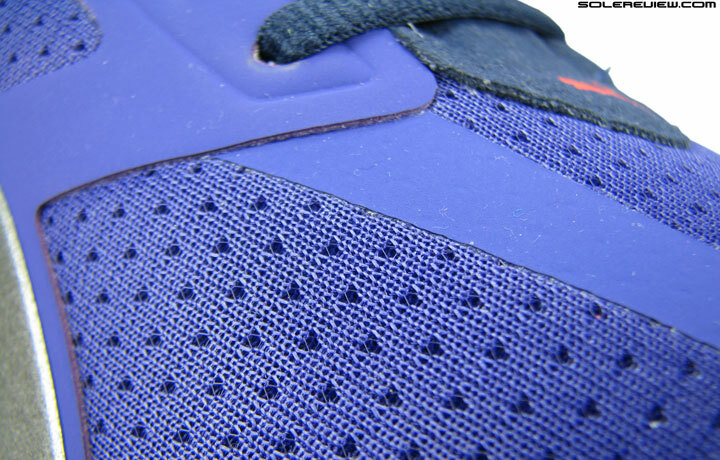 The outer midsole is ridged/grooved, and provides a hint of a lateral bias. The midsole wall is visually split with a ridged depression around its circumference and over the forward facing decorative Chevrons. This groove is deeper laterally, which makes that side easier to compress under weight. In other words, a bit of a lateral bias. We’ve reviewed shoes with a similar design element in the past; the Nike Pegasus 31 is one such example. This is the ‘transition line’, an exposed area of the midsole which runs 3/4th the length of the outsole. A part of Ignite’s PU midsole runs exposed on the outsole, slicing the rubber surface into two side-by-side halves from heel to toe. This is what Puma likes to call a ‘transition line’, a feature which goes by many names depending on the brand. ‘Guidance line’ in Asics, for example. The transition line is also grooved in a convex manner, meant to smoothen weight loading from heel to toe. Abundance of outsole rubber. Appears to be made of separate pieces, but it is a single co-molded sheet. Except for the transition line, of course. 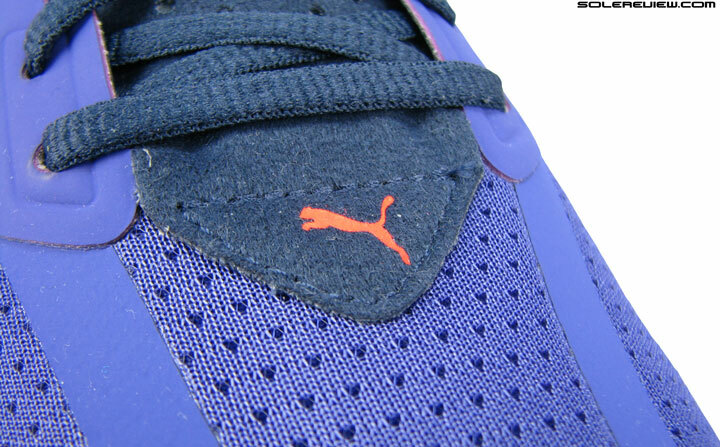 That’s what Puma calls its outsole rubber material. 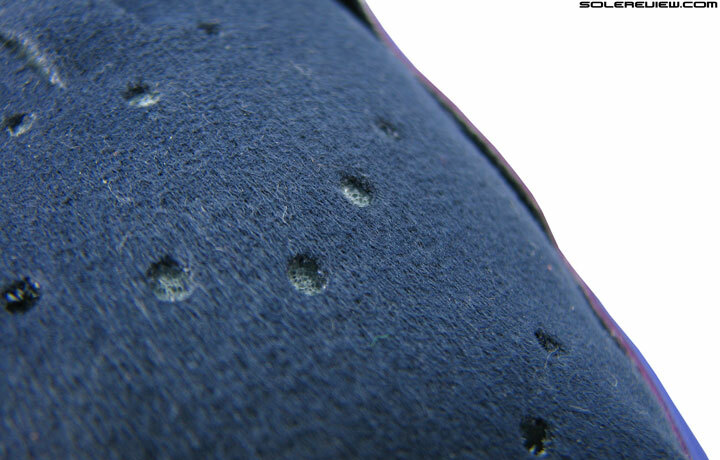 Long term outsole durability should not be a concern, as the bottom is covered heel to toe in rubber. Unlike the familiar configuration of blown rubber in forefoot and hard wearing compound in the heel, the Ignite uses the same type of rubber through-out. 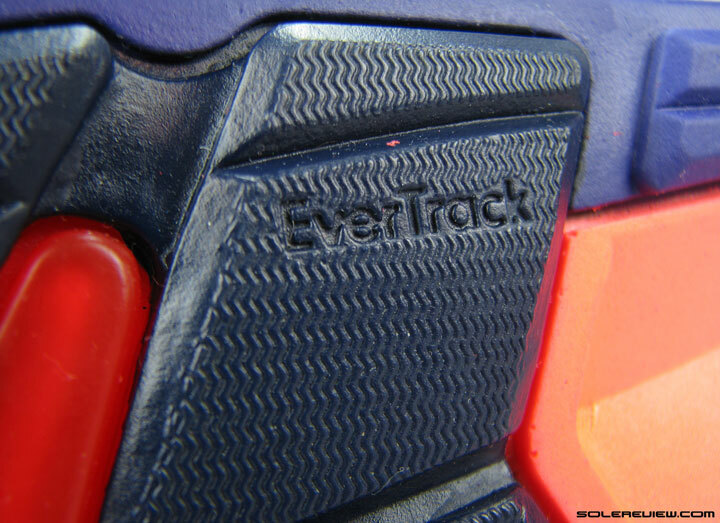 The design looks like a glueing together of multiple rubber units, but in reality, the entire outsole is a single sheet of what Puma brands ‘Evertrack’. There is a translucent urethane insert under the heel. 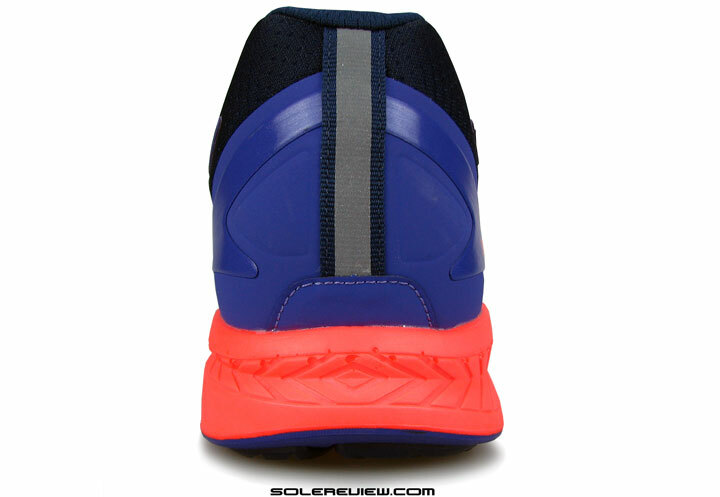 This is co-molded with rest of the outsole rubber. Under the heel, there is a translucent Chevon with the ‘Ignite’ text callout, and even this is co-molded with rest of the outsole. Initial heel wear will strip off the black rubber layer from the neighbouring areas, exposing the red rubber beneath. The Ignite heel edge does not curve up, so footstrike position will tend to be near the edge for most rearfoot strikers. 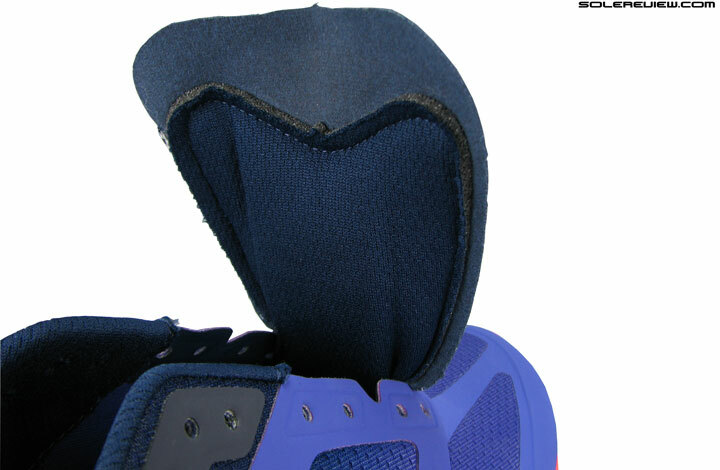 Cross section view of the removable EVA foam insole. 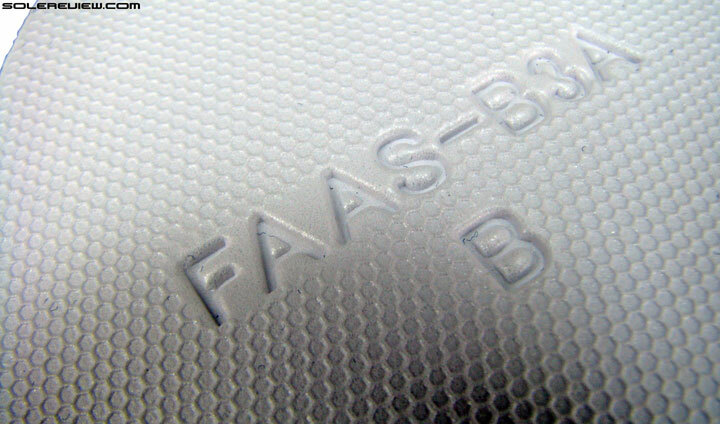 FAAS markings on the reverse side of the insole – which model does the Ignite share its upper fit with? We’ve briefly covered the topic of Ignite’s ride quality, but it is worth spending a little more talking about it. It is often times easy to mistake the insole and strobel softness with midsole cushioning. It is also possible to mistake a part of how the midsole feels for what it actually happens to be in its entirety. When it comes to the Ignite, you need to discount the cushy insole, the slight sponginess of the strobel and the heel foam plug which is filled in the midsole cavity. Puma calls the heel foam pocket out on the product description page of the Ignite, and specifically mentions that the ‘Forever foam is placed for optimal durability’. 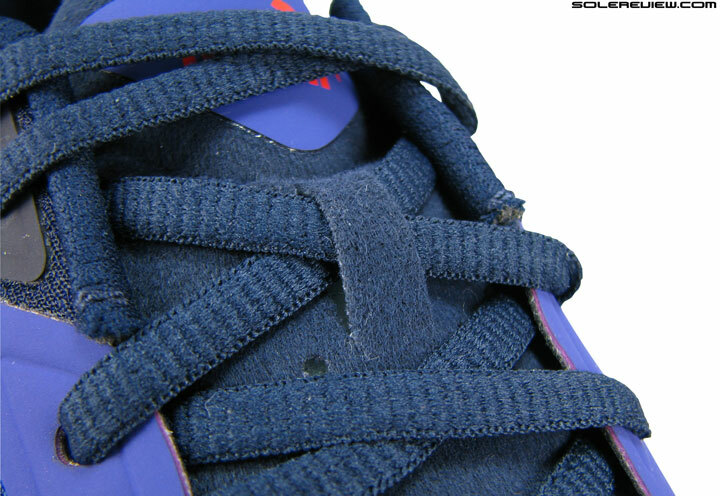 This is a glimpse of the soft ‘Forever foam’ under the heel. 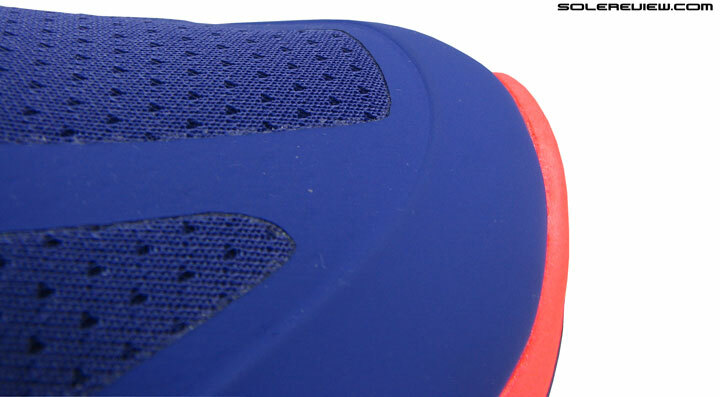 This small area of low density foam just below the heel makes only that part of the midsole soft. It also makes you wonder why Puma needs a piece of traditional foam in a midsole which they call their ‘most responsive’ yet. It is also puzzling that how the same foam can be more ‘durable’ than gravity poured Polyurethane, as Puma chooses to describe and justify the use of ‘Forever foam’. Strip away the insole, heel foam and the strobel, and you’ll lay bare the true character of the pink colored midsole. It is made of a firm compound with a minimal amount of give, and it is not as responsive as Puma makes it out to be. There is a minor amount of springback, but you really have to manage your expectations around that. Like we said, this is no Boost. Or even the Speedform Gemini, which feels more cushioned and responsive than the Ignite. But regardless of what Puma says and claims, the Ignite feels good on the road. 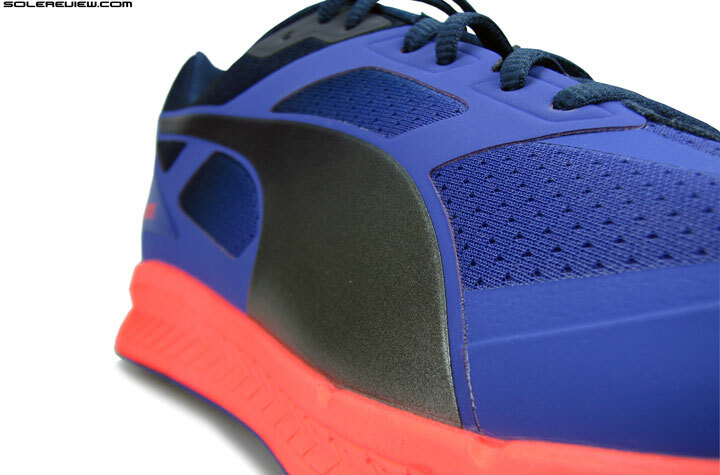 The firmness of the midsole helps in establishing cadence and transition quality. The gait cycle is smoothened by the non-compressive nature of Polyurethane. 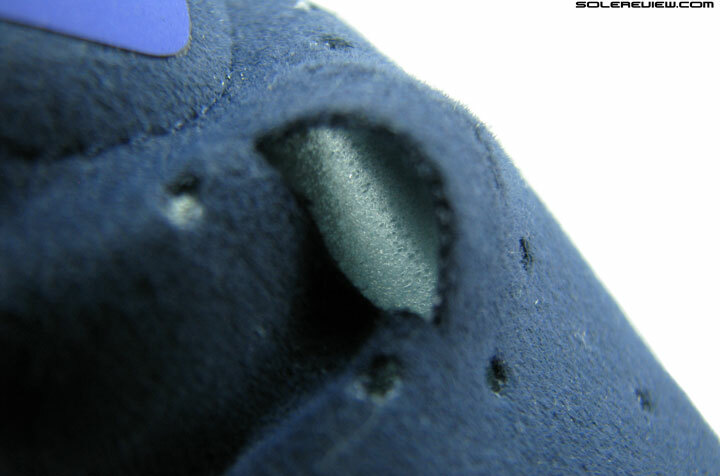 You’ll also see that the midsole does not develop any compression crease, an effect typically seen on EVA based foam. This is a comforting indicator that the Ignite midsole will retain its cushioning over time. In the dawn of running shoe manufacturing, Polyurethane was a regular fixture, and for good reason – it was much more durable than EVA. Midsole design and firmness lends the Ignite enough heel and forefoot stability. The Ignite’s very stable too. Even with the minor lateral bias on account of the ridged midsole design, it holds its line very well. The foot stays planted whether you’re a forefoot or rearfoot striker, and the transition line plays its part too. The Ignite also demonstrates textbook flexibility, easily bendable in the forefoot and then leaving rest of the midsole structurally rigid, which is certainly a running shoe best practice. With well liked manners of the midsole, Puma need not have put the foam plug under heel, or tout the shoe as ‘most responsive’. Firm shoes have a way of endearing themselves to cadence seeking runners, and the German brand should have played the shoe on its merits. Lacing starts a bit late in the forefoot, so that’s more space for you. Try the Ignite first before buying – you might be able to make do with a half size smaller. We’ve got mixed feelings about the upper. Fundamentally, there’s nothing wrong with it, yet you come away with the feeling that it could be much better. 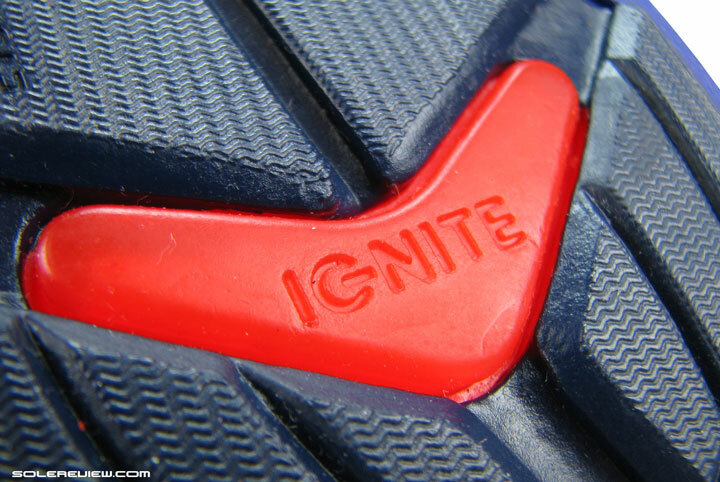 Let’s begin with what we like about the Ignite upper. The fit is roomy and spacious in the front, and given that the Ignite only comes in a single width, this is a plus. 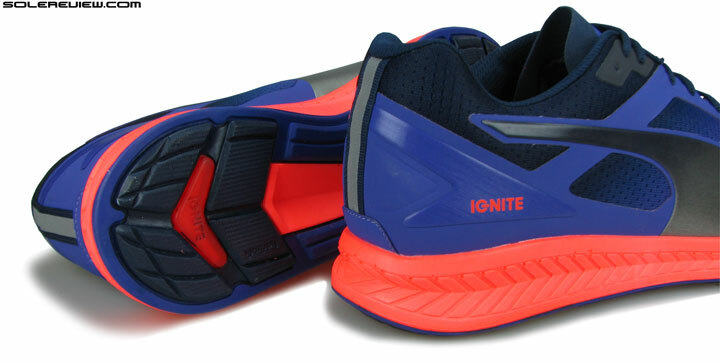 There is also abundant space ahead of the toe, and we’d go as far to say that the Ignite runs half size larger. While there is no substitute for trying the shoe before buying, we feel that many will make do by simply buying half size smaller than what one is used to. With this review, we also realised that Puma is perhaps the only European brand to adopt a one size conversion between US and UK sizing. As an example, a Puma US 11 will convert to a UK 10 – same as Brooks, Saucony, Nike. This is in contrast to how adidas and Hoka does it, where a US 11 converts to a UK 10.5. 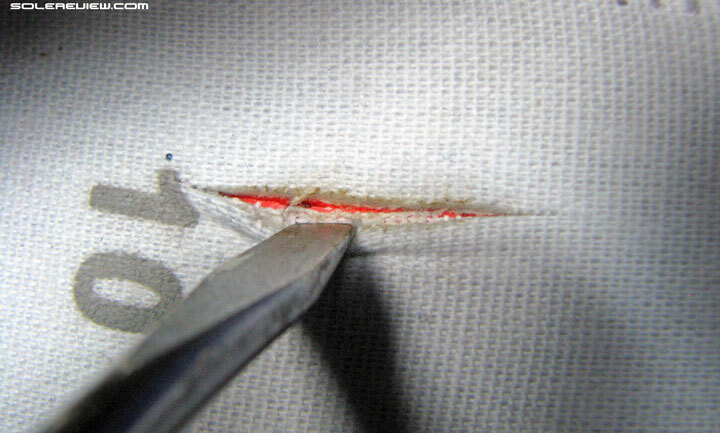 Upper lining on either sides is seam free inside. Placement of no-sew synthetic leather material over mesh keeps aesthetics uncluttered. Ignite’s upper design influences the fit to a great extent. The lacing actually starts very late in the forefoot, meaning there is much gap between the tip of the shoe and where the lacing begins. This leaves a large part of the forefoot free from top down pressure, and hence that feeling of spaciousness. 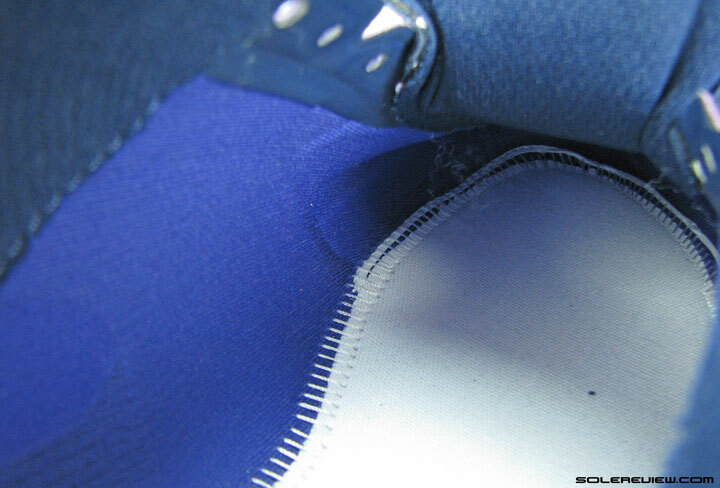 The latter can also be attributed to the near seam-free environs of the inside; all synthetic leather overlays are of a no-sew variety, eliminating any internal seams. These huge sidestripe logos make the upper feel stiff with the need to break them in. The same synthetic nubuck/durabuck layers make the shoe a bit stiff. The Ignite doesn’t exactly have the best out of the box feeling, and needs some time to break-in. Think of a freshly ironed and starched shirt. Great initial form and shape, but takes time adapting to your foot. The pair of huge Puma side stripes also creates the feeling of stiffness, especially when you flex the shoe in that part. As if the shoe isn’t moving in unison with the foot. Standard tongue design, unattached to the upper sides. 3/4th of the tongue’s inside length is padded with foam. In contrast to rest of the upper, the tongue is made of soft synthetic suede. Top part of flap doesn’t have the foam padding, and you feel the lacing pressure. The Puma Ignite’s tongue slides a lot, regardless of the lace loop. Tongue design is an odd contrast with rest of the upper. It’s made of a soft synthetic suede, with generous foam padding which stops at around 3/4th of the tongue length. The part closer to your heel is unlined and runs a bit short, which ends up doing two things. One, the lacing pressure is felt in that area, and two, if you happened to fancy using the last row of lacing, even more so. It comes with no upper attachment, so tongue slide is visually acute, the lace loop notwithstanding. 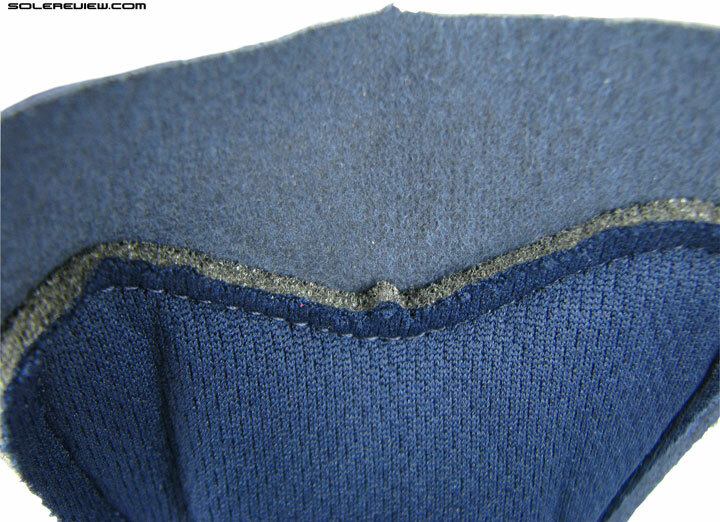 Collar lining has a very basic package of fabric and foam volume. This is how the Puma Ignite’s reflective heel looks at night, when light is shone upon it. Heel contains a molded counter, and has a standard level of foam backing and lining package – nothing special, just gets the job done. The horizontal backstrap is reflective for low light use. Recently, we have been disappointed with shoddy examples of fit and finish (Ultra Boost, Tempo Boost, Ghost 7, Vomero 9) so Puma Ignite’s finish is like a breath of fresh air. There are zero glue stains, the fixing of upper and midsole is exemplary, very clean with no fitting issues. There is a bit of a stitching position issue at the base of the reflective strap, but that’s very minor and does not affect fit. But apart from that, the shoe looks very crisp and miles ahead of some shoes being churned out by other brands. We know that our impression of Puma is based just on the Ignite, but we hope this standard applies to rest of their footwear line. One small thing – color description of the Ignite we reviewed will have you believe that it is blue and red, but in reality it is purple and pink. So if you’re planning to buy this color, make sure you manage to look at it in person first. We personally like this color, but we know many might not embrace a purple-pink combo. The Ignite might have its idiosyncrasies, but it is still an interesting outlier. Puma has a long history of making serious performance footwear, so when it strayed into making low profile, motorsports inspired fashion footwear and other fashionable but uncomfortable silhouettes (Cell Meio, for example), we wondered why. That market has long fallen out of favor with consumers, and anyway, unless there was an emotional, retro-hook involved, those silhouettes were ephemeral anyway. That is why models like the Puma Clyde and Disc Blaze Trinomic continue to be popular mainstay of their lifestyle business and far outlive the typical product life-cycle. It’s been a slow re-emergence of Puma’s performance running line, but looking at their recent earnings report, that division seems to be quickly gaining momentum. Can’t speak for the FAAS product line, but the Puma Ignite is an interesting outlier, and adds value by being different from how the neutral running category is currently positioned. That alone inspires confidence that the cat logo is leaping in the right direction. The Ignite has minor shortcomings on its upper with a couple of make-believe midsole tricks, but forgiveness comes easier when the retail price is just $100. Great review as usual, especially the insights into the midsole material and build quality. I have the Kinvara 5 and it´s forefoot feels very unresponsive, I would go as far as to say that it´s the most dead feeling forefoot of any shoe I own (Mizuno Ferus, Skechers GR Ultra, Nimbus 15, NB 890 v4…) – it´s a little bit soft during walking but firms up while running and gives not much of energy back. Could you please give some hints how the forefoot of the Ignite would feel for a forefoot striker in comparison? I like a firm ride but not that soft/dead Kinvara forefoot. Could the stiff upper be a problem with a forefoot strike because I need the shoe to flex under the ball of the foot. The Puma FAAS 100 R v1.5 is very nice if you don’t mind a lower stack height, the only Puma shoe I liked so far. Tried this shoes previously, good cushioning even on heel strike. However when I tried for a forestrike, the sole felt a little hard, imho. Good price for a good shoes. Thanks, this is exactly what I´m afraid of – too harsh in the forefoot and too stiff. The forefoot is pure Polyurethane, while the heel has that soft foam core in it. I was just about to ask you guys,if you will review puma model,and BAM! !you done it!! Thank you for the nice comment. With luck on our side, we should be able to get those reviews coming regularly. Btw how many reviewer you guys have? ?judging from the shoe size it seem there is only one tester,while the others devide into other stuff(editing,host,etc),maybe you guys could add another reviewer to lessen the work ?? You mention that it is purple/pink. 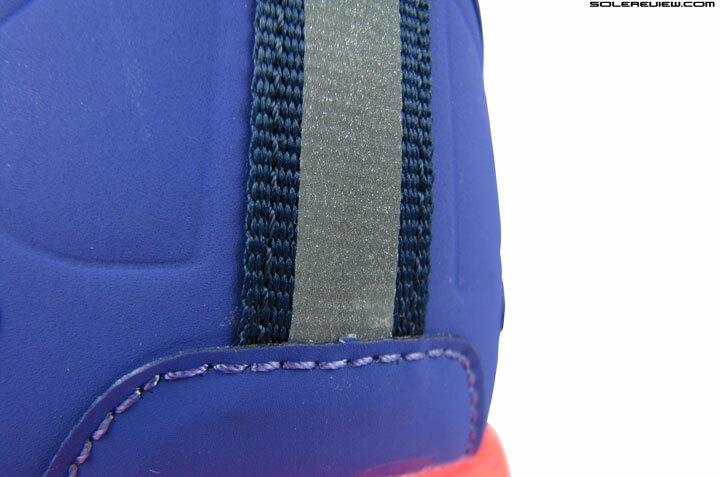 I can definitely see the purple stitching and the dark pink midsole but the rest looks close to blue in my opinion. This shoe is obviously white and gold. We’d love to review V4 versions of the 2015 FAAS line, but we have a huge backlog of shoes. Will probably get to it in Fall. The color is more like deep purple+pink – that is why one needs to look at the physical shoe to get a better idea. It is definitely not blue. It’s definitely purple and pink, at least when you see it in person. Though there are at least two more color schemes for men available. 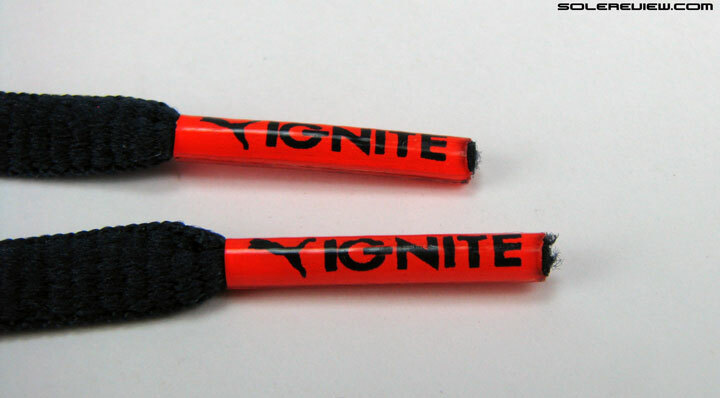 The soft foam is localized in a small area, so the Ignite does not bottom out. The overall midsole retains the firmness of the PU material, and it also depends on how one footstrikes. Great review as usual! Very detailed and descriptive. Are you guys going to be reviewing the new nike frees (3.0, 4.0, 5.0)? Thanks! Sometime in May, hopefully. We still have quite a backlog of bought-but-unreviewed shoes. Thanks and I look forward to another great review! Interesting review! I don’t know where to post this, but are you guys going to review the Z Pump Fusion? Thanks! We have considered it, but it depends on budget and resources available in the next few weeks. Cool, thanks! Just curious. You have a fantastic site. Fantastic review as usual! this has become my go to site for picking out running shoes, but was curious if you guys were considering doing a review on the Nike lunar spider r5. I can’t find anything on them and they aren’t even on Nike’s site anymore, but running warehouse makes them out to be a pretty sweet racer. thanks! Thank you! Can’t say for sure, but if at all it is reviewed, the timing’s going to be Fall. Puma ignite vs Ignite XT vs Nike Free5.0 > Which one to buy for daily running? Nike Free 5.0 over the Ignite. Don’t have experience with the XT, so can’t say how they compare. Thanks for the informative and highly detailed review. Sideways room? On the Ignite, don’t think so. Either sides of the forefoot are flanked by synthetic, so stretch will be negligible.